I write this holding back tears, the tears of an idiot. I’ve been in Thailand a month now, I can handle Thai spice [eats Thai chili and immediately regrets it. Eyes water. Mouth burns.] 20 minutes later, my mouth is still on fire are I am dangerously low on water. Kill me. Anyway, despite the physical suffering, the weekend was a great one filled with sightseeing, galavanting, and not losing a single thing. I woke up Saturday on a mission to see some sights. 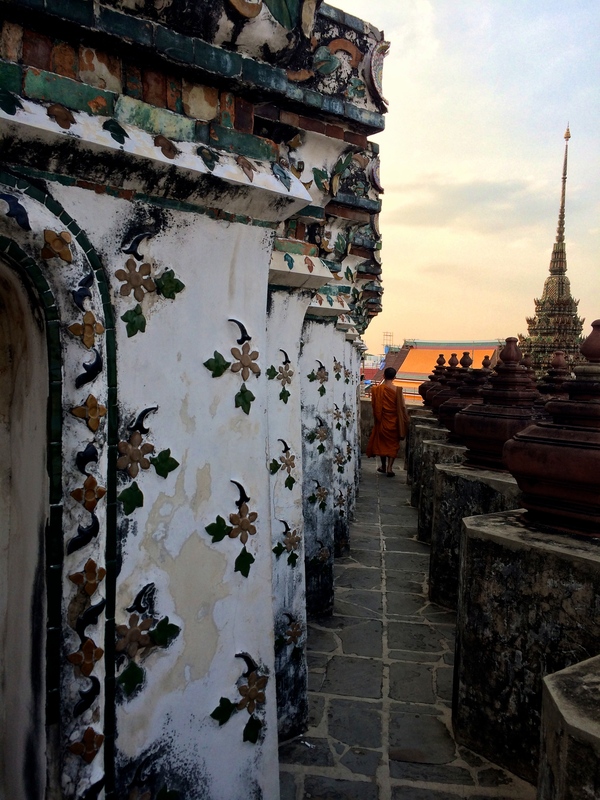 I hadn’t had my fill of temple visits, so I decided on heading to Wat Arun, the Temple of Dawn. Pro tip: Wat means temple. 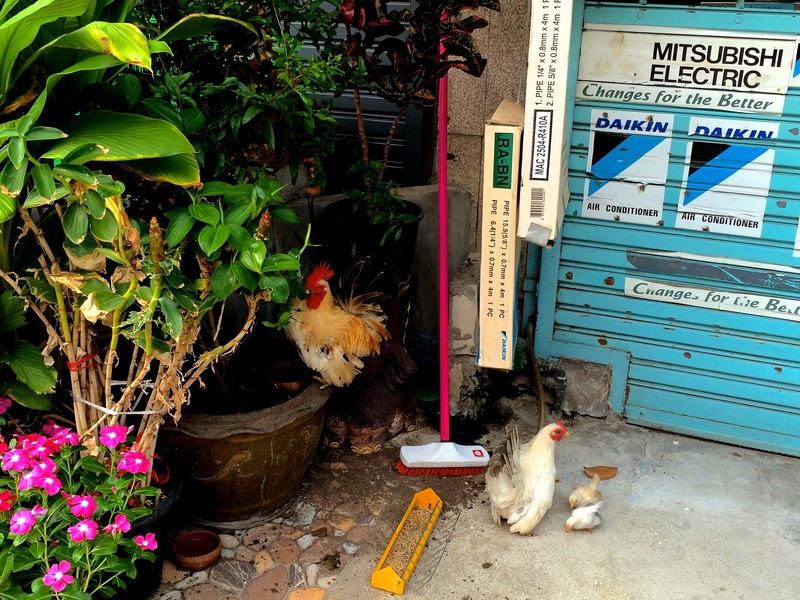 After renting a long skirt (for modesty), I entered the hallowed grounds of the riverside Wat. I was immediately overcome with awe. I’ve been to religious sites before, but I’ve never had such a physical reaction to a place. I felt calm and was filled with respect for the beautiful grounds. I’m not a sappy person, but it was really special. I stalked a monk and took his photo, because that’s what a tourist does at a Wat. I spent about a 45 minutes touring the incredible place. 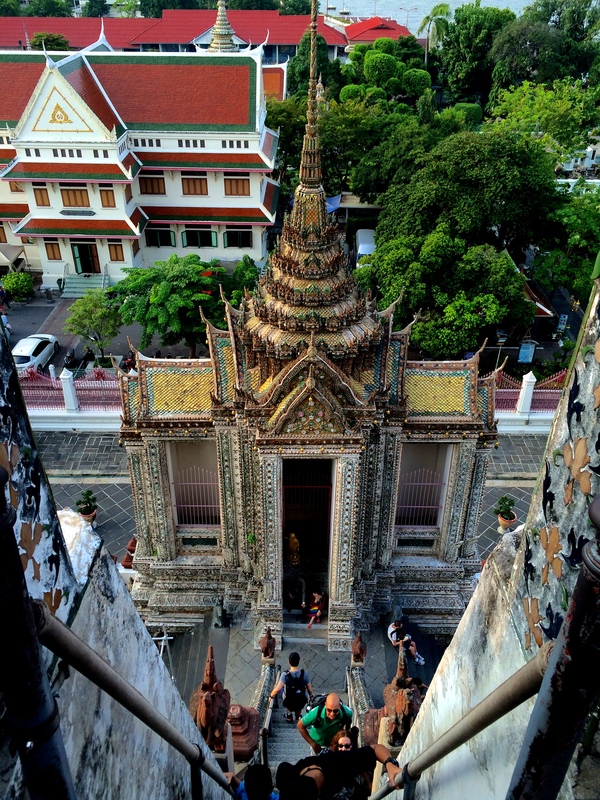 To get to the best vantage point, you have to climb up narrow stairs that are essentially a ladder. Very nerve-wracking, but totally worth the experience. I couldn’t help think about all of the teeth I would knock out if my foot slipped. Positive thinking! One thing that really stood out beyond the splendor of the holy temples was the presence of the guys pictured below. 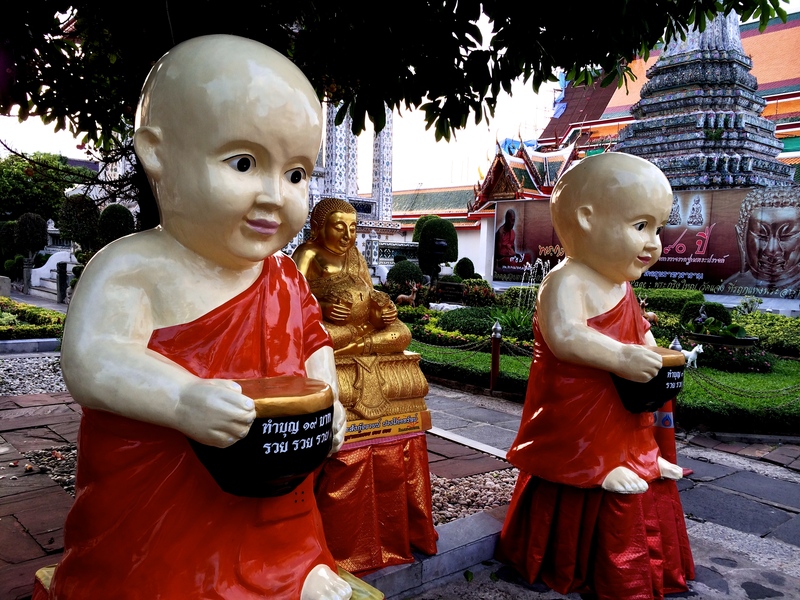 I’m sure they are really wonderful to some people, but I was sort of like, why are these giant-headed baby monks here? They’re a little off putting and way less majestic than the rest of the area. I mean, those heads! 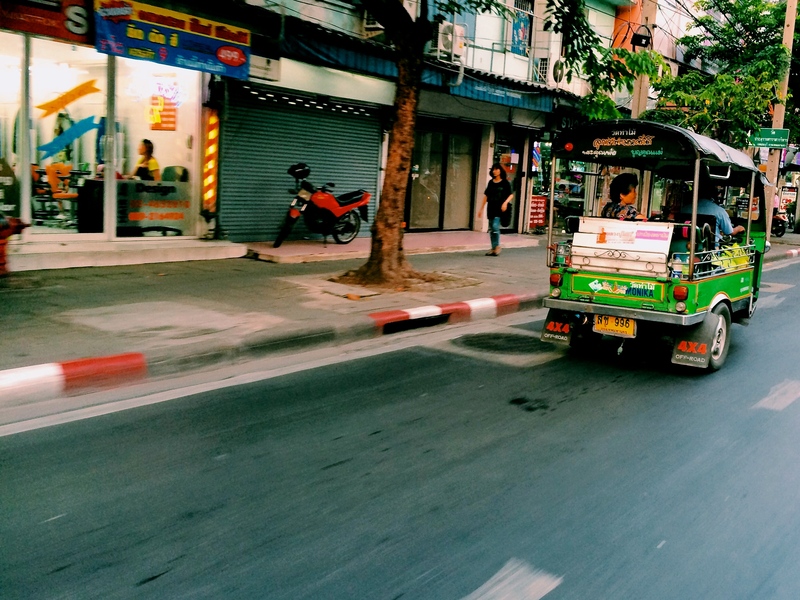 I took a tuk tuk to the nearest BTS station and spent the rest of the night enjoying the nightlife of Bangkok. Beervana’s anniversary party, dive bars, and street noodle soup were the perfect end to another great day in Thailand. 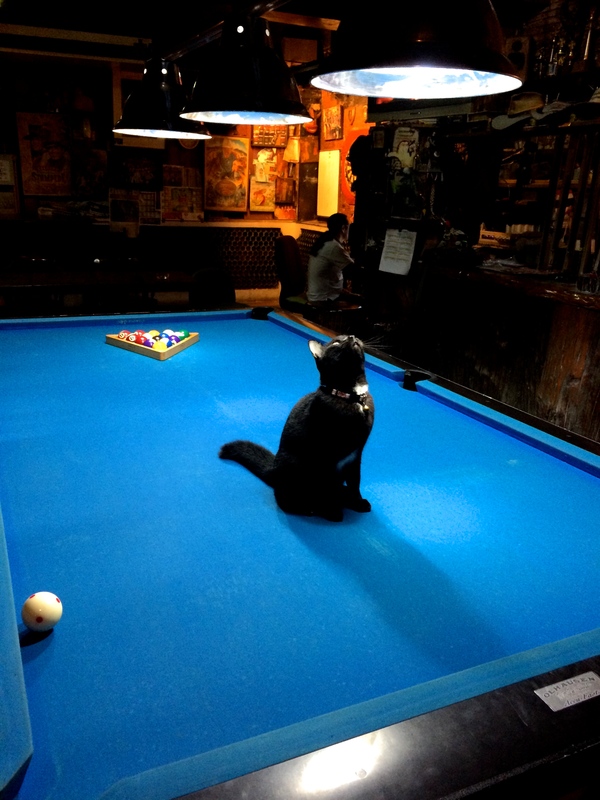 That’s a cat on a pool table! I woke up late on Sunday with a mean hangover, but still wanted to get my Wat on. 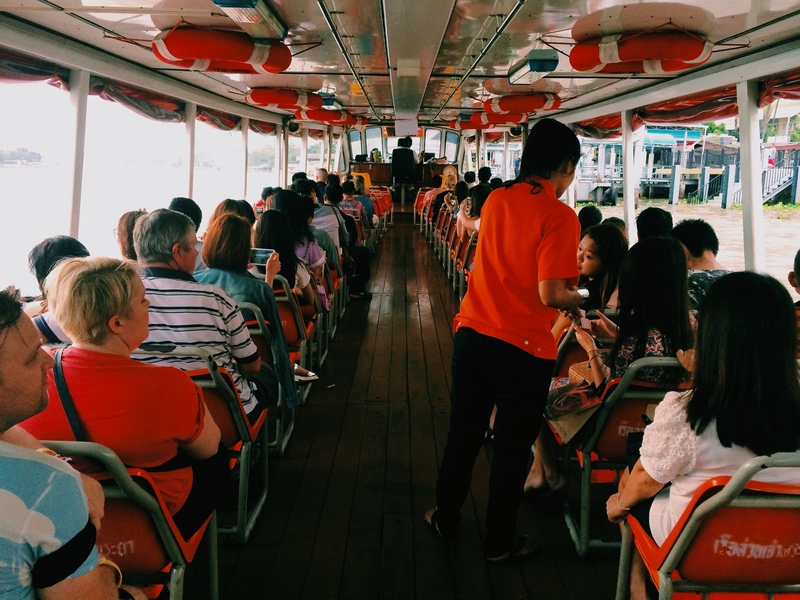 My mental capacity was a little less sharp due to said hangover, but I managed to wait in only two wrong lines before figuring out how to take the Chao Praya river taxi. 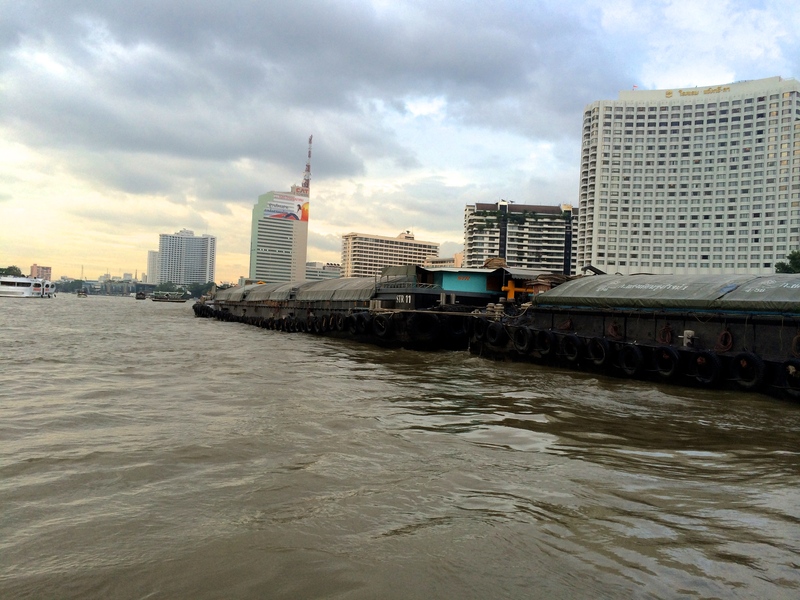 I got off at the taxi port across from Wat Arun near the Grand Palace. 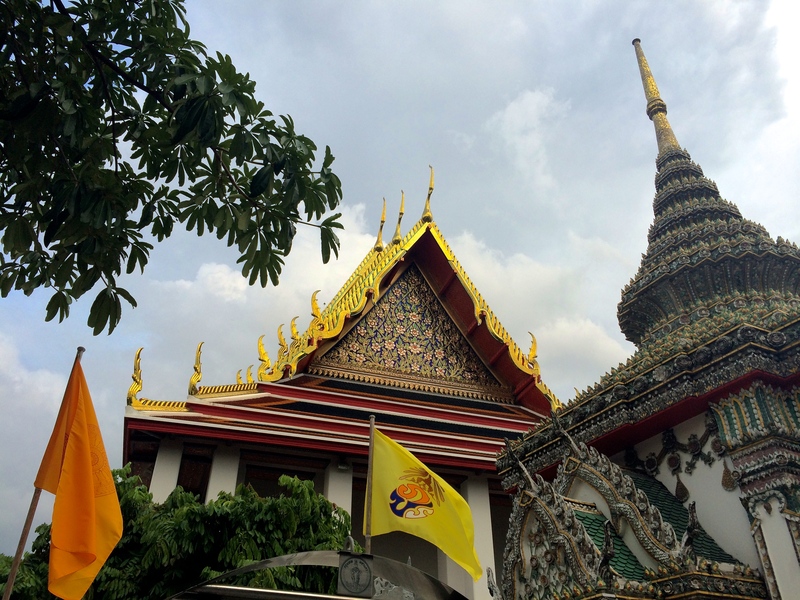 Having been to the Grand Palace in 2013, I didn’t need to go back before seeing the other sights of Bangkok. 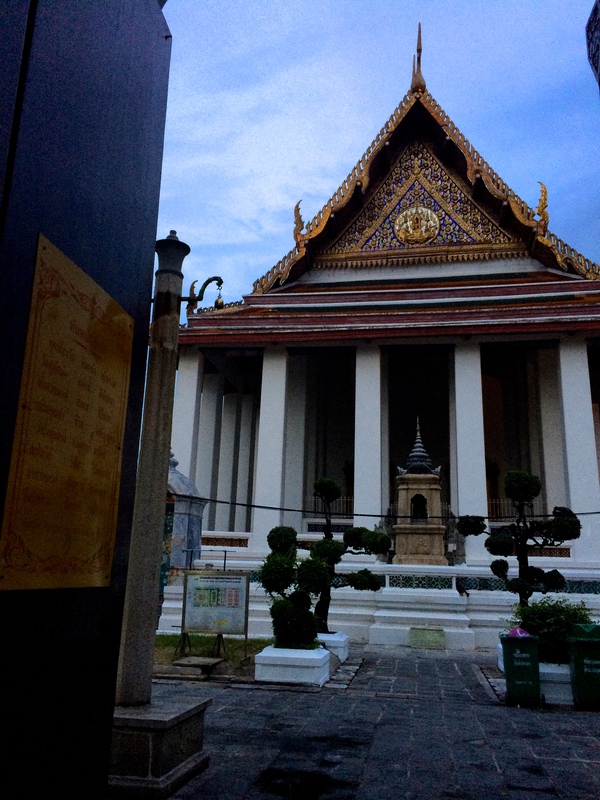 Instead, I wandered in the direction of glimmering temple roofs until the sun went down. Without a destination, I wasted a lot of time wandering through less eye-catching areas, but still enjoyed seeing Thais go about their sleepy Sunday. Ended the day with some Szechwan food while it poured rain. I can’t remember the names of all of the Wats I saw, or even the names of the neighborhoods I walked through, but still a win in my book. I’m getting better at my Thai numbers, and getting used to Thai people laughing at me when I practice. My weeks are spent keeping up with the hustle of working at a startup, and weekends exploring this massive city. 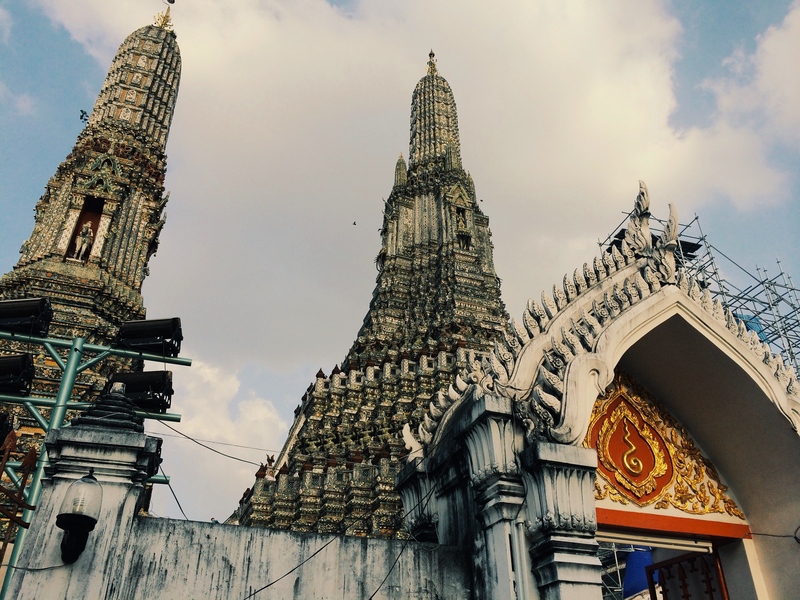 Breathaking, confusing, sweat-inducing – I am falling deeper in love with Bangkok with each passing day.